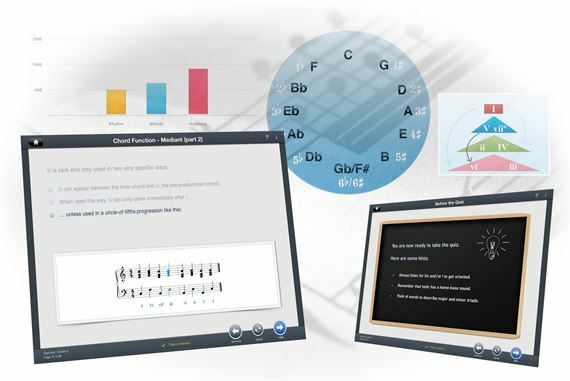 Order your eMedia Music Theory Tutor Complete from AMS and enjoy Fast & Free Shipping. Get the Best Deal with our Lowest Price Guarantee & Great Customer Service! A great learning tool, the Music Theory Tutor Complete, you’ll learn all about the building blocks of music. The structured course and practice exercises help you hear musical keys, scales, intervals, chords, and rhythms in your head to help you compose without an instrument, improvise solos, and learn songs by ear faster. A step-by-step curriculum designed by Dr. Gregory Simon, who holds a doctorate in composition from the University of Michigan and teaches at the University of Colorado. 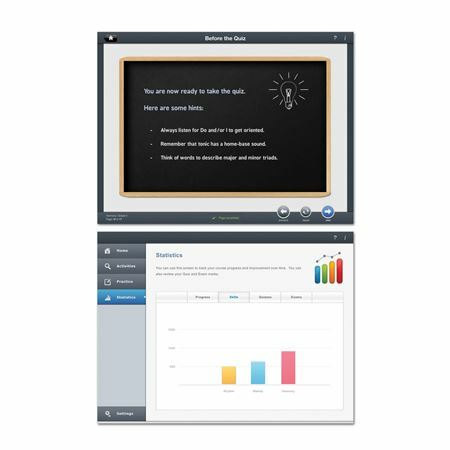 Over 400 lessons, exercises, and tests with graphics, interactivity, and sound. Both music theory and basic ear training combined into one powerful application. A graph showing testing and answer statistics to let you easily measure your progress. Intelligent Practice that tracks your progress and automatically selects questions to improve weak spots. Exercises teaching rhythmic fundamentals including tempo, counting beats, measures, values for notes and rests, and syncopation. Rhythmic lessons teach counting plus recognition of simple and compound time signatures (including 3/4, 4/4, 5/4, 6/4, 7/4, 3/8, 9/8, etc.) and cut time. Interactive lessons for learning to read music with explanations and exercises for learning clefs, key signatures, note pitches, names, and rhythmic values (including dotted and beamed notes) including advanced triplets. 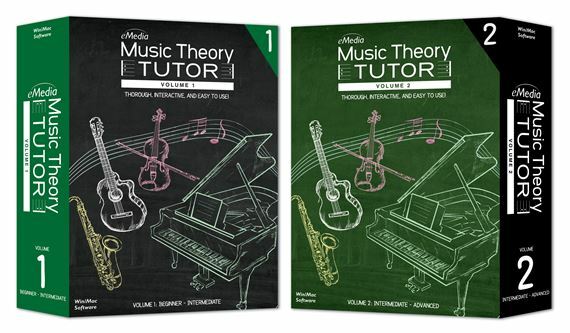 Music Theory Tutor Complete includes Volume 1 and Volume 2 in a value priced set with over 400 engaging lessons that teach the crucial musical elements of rhythm, melody, and harmony. Learning is easier and more effective with images, audio, interactivity, and numerous examples. Like an instructor, the Intelligent Practice feature analyzes your responses to questions and skill level to create an individualized practice program to improve your weak areas. Many lessons let you enter pitches simply by humming, singing, or playing your instrument into the computer’s microphone. The software listens as you tap in rhythms, sing back pitches to guess intervals, and interact with the lessons. 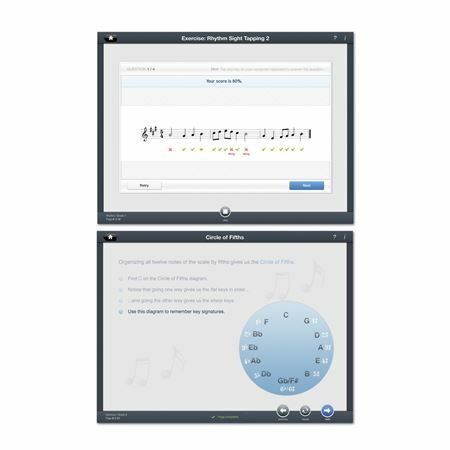 Music Theory Tutor Complete will show you when you match pitches correctly in a lesson, and shows a chart of your progress as you move through the course. Gain confidence as you pass quizzes at the end of each subject and ace tests at the end of every grade level completion.